One of the most celebrated classical musicals, Tim Rice and Andrew Lloyd Webber's EVITA, is returning to Australia. 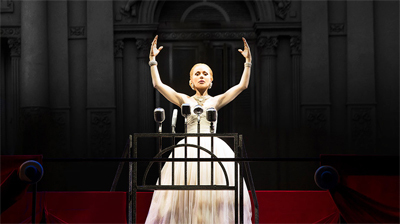 EVITA will play at the Joan Sutherland Theatre at the Sydney Opera House from 13 September, the first time a Tim Rice and Andrew Lloyd Webber musical will play at the Sydney Opera House, followed by a season at Arts Centre Melbourne from 5 December. 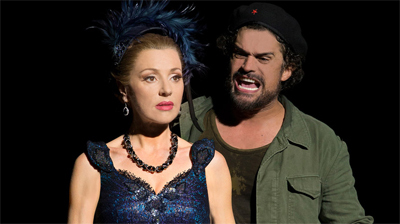 Produced by Opera Australia, Australian theatre producer John Frost and leading UK theatre producer David Ian, this recreation of the original West End and Broadway production of EVITA, directed by Hal Prince, is much anticipated. Australian icon, singer, songwriter and musical theatre star Tina Arena will play the role of Eva Perón. Throughout a stellar 40-year music career, musical theatre has been a constant presence for Tina, having starred in productions in Australia and internationally. Her theatrical work includes Cabaret, Nine, Dynamite and Joseph and the Amazing Technicolour Dreamcoat. Now ten years after Tina wowed critics on the West End as Roxie Hart in Chicago, she is back with her most challenging theatrical project to date, Evita. Starring opposite Tina as Juan Perón will be opera superstar Paulo Szot, whose last Australian performance was the title role in Opera Australia's Eugene Onegin. Szot played Emile De Beque in the award-winning revival of South Pacific on Broadway, winning the Tony, Drama Desk, Outer Critic's Circle and Theater World Awards. Playing the young revolutionary Che will be Kurt Kansley, who has performed locally in The Lion King, Rent, Godspell and Show Boat, directed by Hal Prince, while his numerous credits in the West End include Bernstein's Mass Concert, Guys and Dolls, Miss Saigon, The Lion King, Ragtime, Sweet Bird of Youth and A Midsummer Night's Dream. Acclaimed musical theatre performer Michael Falzon (We Will Rock You, Chess) will play tango singer Magaldi, while the role of Perón's Mistress will be played by newcomer Alexis van Maanen, making her professional debut. Currently playing The Wicked Witch of the West in GFO's The Wizard of Oz following her seven years as Elphaba in Wicked, Jemma Rix will be the Eva Perón Alternate. Completing the cast will be Justin Anderson, Anton Berezin, Michael Camilleri, Olivia Carniato, Rachel Cole, Alie Coste, Jade Coutts, Kristian Crowe, Todd Dewberry, Rodney Dobson, Samantha Dodemaide, Laura Field, Zoy Frangos, Ashleigh Gurnett, Kate Maree Hoolihan, Georgina Hopson, Thomas Johansson, Kathleen Moore, Thern Reynolds, Christopher Scalzo, David Sirianni, Tod Strike, Simon Tichelaar, Dean Vince, Rachael Ward and Paul Whiteley. 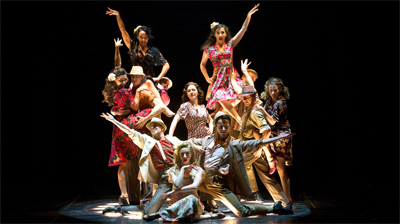 "We are thrilled to bring this renowned production of EVITA back to Australia. With the sensational Tina Arena leading this wonderfully talented cast, this is sure to be the hottest musical ticket in Australia this year," said the producers. "The original West End and Broadway version of this lauded musical was a landmark theatrical event, and we can't wait to present it with this incredible group of performers. Andrew Lloyd Webber, Tim Rice and Hal Prince are legends of musical theatre; it gets no better than this." Tim Rice and Andrew Lloyd Webber's EVITA is iconic, with more than 20 major awards to its credit including the Olivier and Tony Awards for Best Musical, a Golden Globe and an Oscar for the film version starring Madonna and Antonio Banderas. Featuring some of Tim Rice and Andrew Lloyd Webber's best loved songs including 'Don't Cry For Me Argentina', 'On This Night of a Thousand Stars', 'You Must Love Me' and 'Another Suitcase in Another Hall', EVITA charts the story of Eva Perón, wife of former Argentine dictator Juan Perón, from her humble beginnings through to the extraordinary wealth, power and status which ultimately led her to be heralded as the 'spiritual leader of the nation'. Legendary Broadway director Hal Prince has won 21 Tony Awards, more than any person in history. Hal Prince will be joined by fellow original West End creative team members including choreographer Larry Fuller and designer Timothy O'Brien. This musical captured the attention of the public when it was first staged in 1978 and in its 40th year and Andrew Lloyd Webber's 70th year, Opera Australia, John Frost and David Ian are thrilled to bring this "modern masterpiece" (New York Post) to Australia in all its original glory. The Australian premiere has been secured exclusively for Sydney by the Government's tourism and major events agency Destination NSW and will be a major drawcard for visitors to NSW. Alexis is thrilled to be making her professional principal debut with this production of Evita. A 2017 graduate of Caulfield Grammar School in Melbourne, she honed her singing and musical theatre skills for the past six years as a Vocal Scholar through Caulfield's choirs, concerts and stage productions. No stranger to the stage, Alexis previously performed with Opera Australia in their 2010 production of La Bohème as part of the children's chorus. She trained in musical theatre, dance and voice at the Centrestage Performing Arts School in Brunswick under the guidance of Ian and Leanne White, along with ongoing private vocal coaching. Aside from her many musical passions (which include piano, guitar and writing her own original music), Alexis is also proficient in speaking both German and Chinese. Question: Congratulations on securing your first professional role as Perón's Mistress in EVITA - The Musical! Can you tell us about how this came about? Alexis van Maanen: I auditioned for the role of the mistress towards the end of year 12 last year and was asked to come back in for a call back. It was a few weeks of waiting before I found out I had been cast in the role, which was a very exciting day indeed. 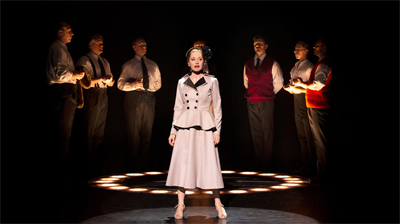 Question: Had you seen EVITA prior to auditioning? Alexis van Maanen: I had only ever watched the movie but had never seen the stage production as it has only been in Australia once, which was before my time! Q uestion: Can you tell us about your role as Perón's Mistress? Alexis van Maanen: The mistress is a smaller role in the show but a really important one in my opinion. The way she is ruthlessly kicked out by Eva Peron shows how she represents a larger part of Argentine society in that time who were silenced or simply gotten rid of if they were in the way. 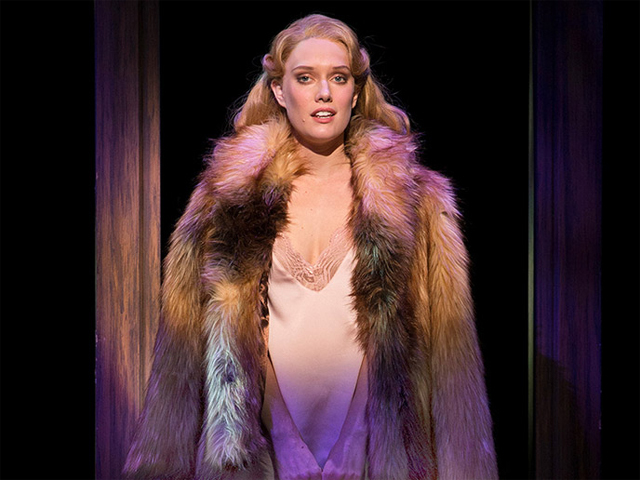 The mistress also allows the audience to see Eva's backstage personality, as up to that point they had only witnessed her as a public figure and performer. It is a really telling moment in the show for both characters. Question: How have you worked towards this role, for the last few years? Alexis van Maanen: I haven't specifically worked towards this role as I didn't know it was coming to Australia but I have always been focused on my singing and acting, taking on private coaching classes. Question: You've received fantastic reviews, how does it feel to be on stage in front of large crowds alongside Tina Arena and the acclaimed cast? Alexis van Maanen: It is a very surreal experience to be alongside one of Australia's most loved performers and personalities as Tina Arena. The whole cast are just phenomenal. I have been able to learn so much from each and every one of them from observation and asking questions. Question: What advice do you have for young Australians hoping to achieve their on-stage dreams? Alexis van Maanen: I believe there is never a finished product in terms of a performer, so just keep working on your skills and seeking to bettering yourself as a person and performer. 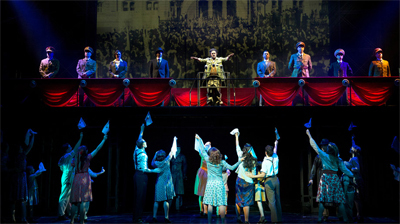 Question: Can you tell us about the preparation that goes into a show such as EVITA - The Musical? Alexis van Maanen: We had a month of rehearsals which included singing calls, individual acting calls and whole cast staging. We ran through the show a lot of times before going into the theatre, so we were really settled in the progression of the show. Question: Do you have any personal pre-show rituals? Alexis van Maanen: Not particularly. But I always check my shoe laces before going onstage! Question: What's next, for you? Alexis van Maanen: I'm not 100% sure but potentially study. I will always keep audition for things that come up. But until then I'm asking, as the mistress does, 'so what happens now? '.